Whether you're a woodworking star or just starting out, there are plenty of garden and patio options that are easy to build! 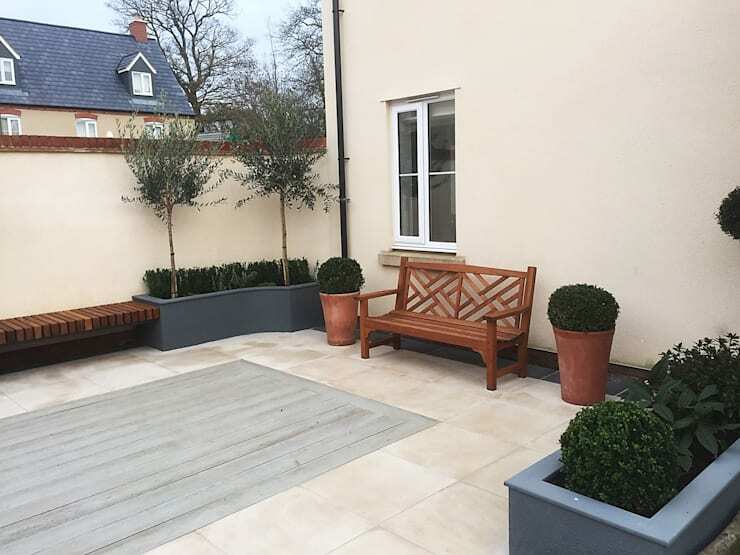 Stone, wood and tiles are increasingly replacing the traditional turf of our courtyards and gardens. There are several motives for this, including practicality. While grass and earth give you a fresh feeling, it also requires periodic maintenance, as well as good sunshine and irrigation. Moreover, grass is a breeding ground for one of the most annoying pests of modernity: mosquitoes. 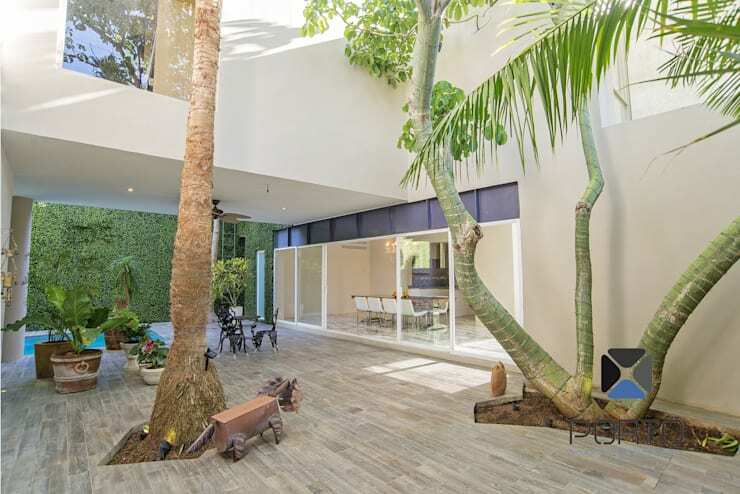 So, many houses that once had a piece of land in the back or at the entrance, look glamorous today with floating wooden floors, terracotta tiles or simple stones, white or coloured, the prices of which are affordable and the results spectacular. Today we will showcase 18 spectacular patios and gardens without grass, wherein exquisite combinations between stone, tile and wood appear. In addition, just because there is no grass, doesn't mean you can't have flowers. 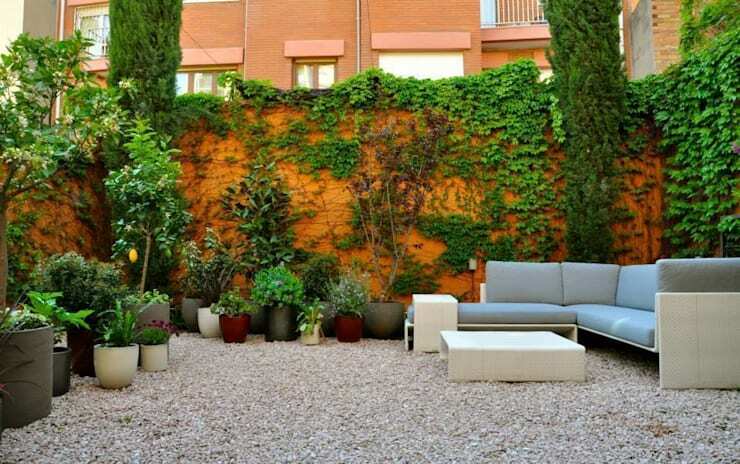 Plants appear in these gardens and occupy strategic areas, either as shrubs, flowers or in niches as contained in pots. 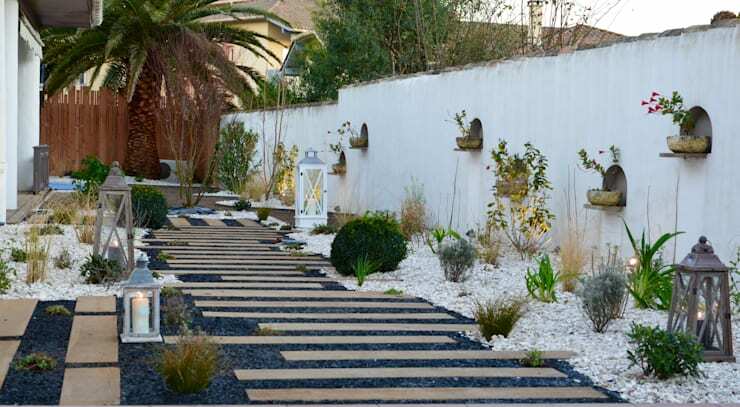 These proposals will undoubtedly reslove your garden design problems! 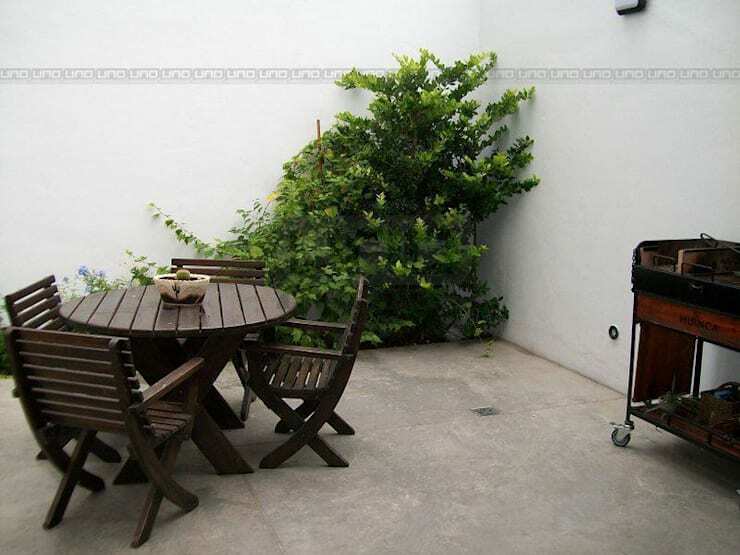 In this rather wonderful courtyard they solved the issue of lawn surrounded by a spacious deck and grey stones in different sizes and colours. 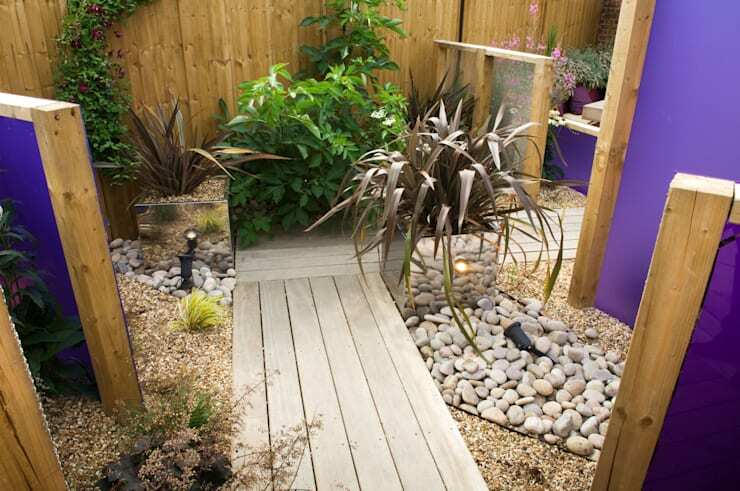 These elements give an ideal setting to show off the plants. Each region has its variety of stones to decorate. In South Africa we have a unique geography that offers stones from riverbeds to mountain tops. In this image, a variety of different stones are combined to make a beautiful ensemble. 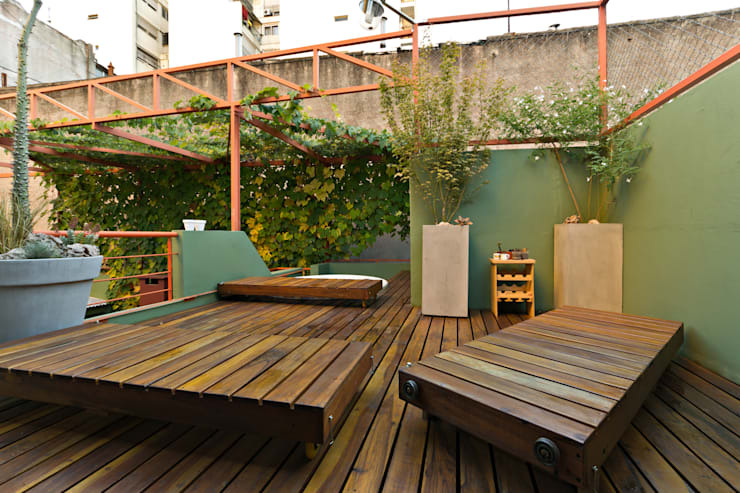 Having the deck cover the entire surface of a patio or terrace is one of the most spectacular inventions of our time. This very elegant floor is accessible to a small courtyard where rustic tiles were chosen in whitish tones and white cut stone. Here we see a modern playground where tones are combined excellently, with the blue micro pool and unique green tree that brings a touch of colour. These rustic tileswill prevent accidents with a wet floor. A simple and classic style worth noting. If you like the colonial style but cannot afford large patches of cut stone, tiles with a stone finish are clear winners. 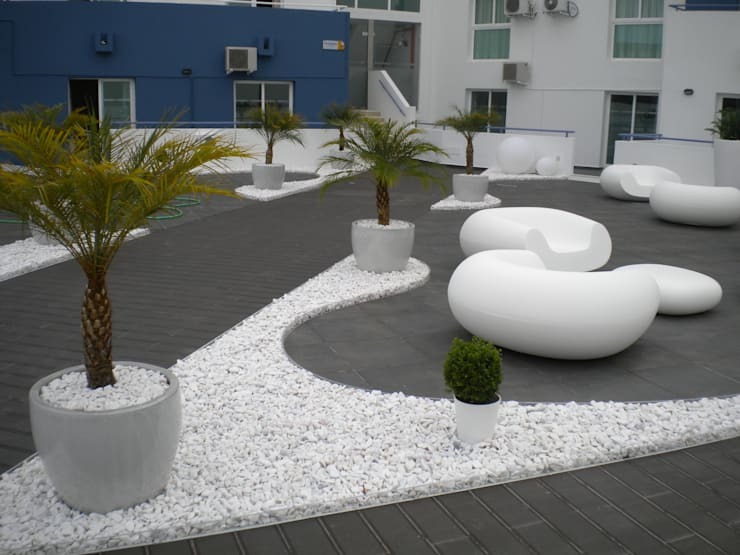 Polished concrete and white stone can give you the ability to create something as modern and expressive as we see above. Perhaps it is a good idea to leave a drain covered with wood, and use tiles for the rest of the floor. When your courtyard doesn't get sun, grass will fail. 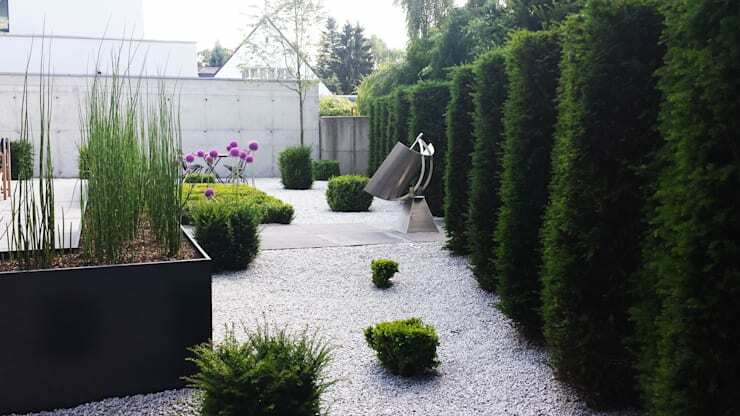 The designers opted for grey stone here, and it looks great in contrast with the green of perennials. 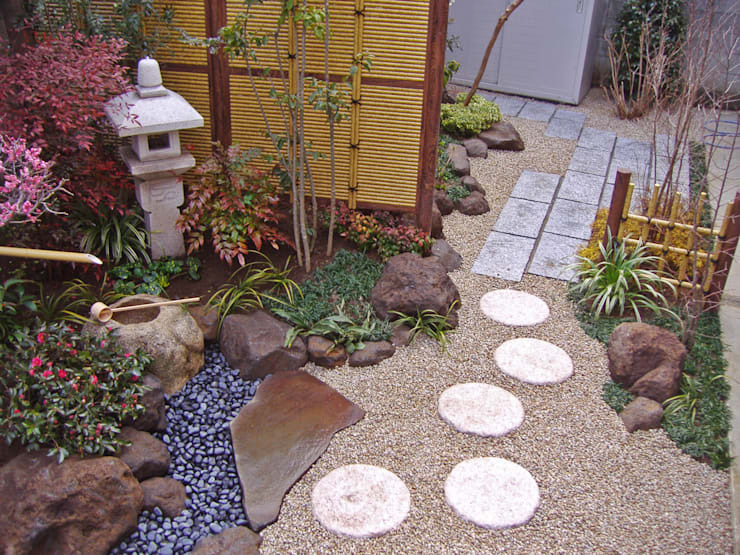 The stone path with flagstones and wood is great. 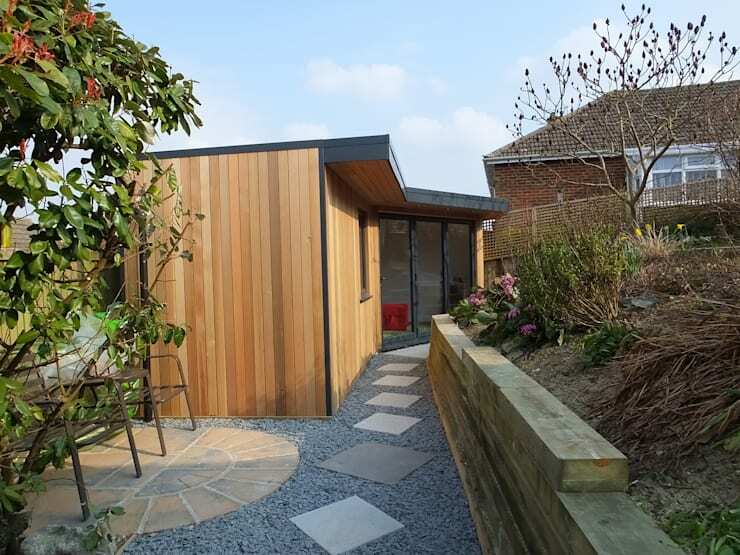 Skirting the sides with contrasting stone will give you a lovely look. The most popular tiles today are those that offer earth tones, preferably ones which are highly textured. 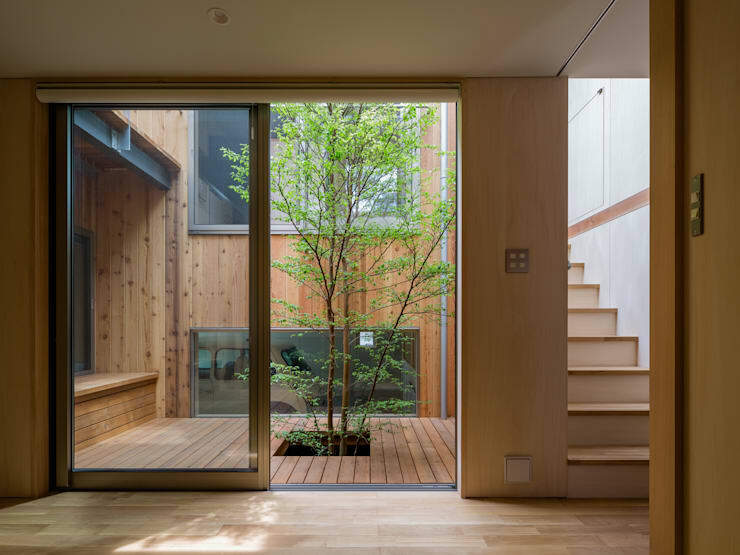 Trees are necessary to purify the air surrounding our homes. In conjunction with the beauty they bring, there are no excused to keep them out of the design. The implementation of plants in gardens stone floors provides the ability to create magical and surreal scenes. Here we see another possibility. In these cases, the grass would be somewhat cumbersome. Do not forget the appeal of lighting. Put some lamps that shine on your floor. In the stone, a dreamy atmosphere is created. A courtyard withough grass doesn't necessarily equate a cold space. 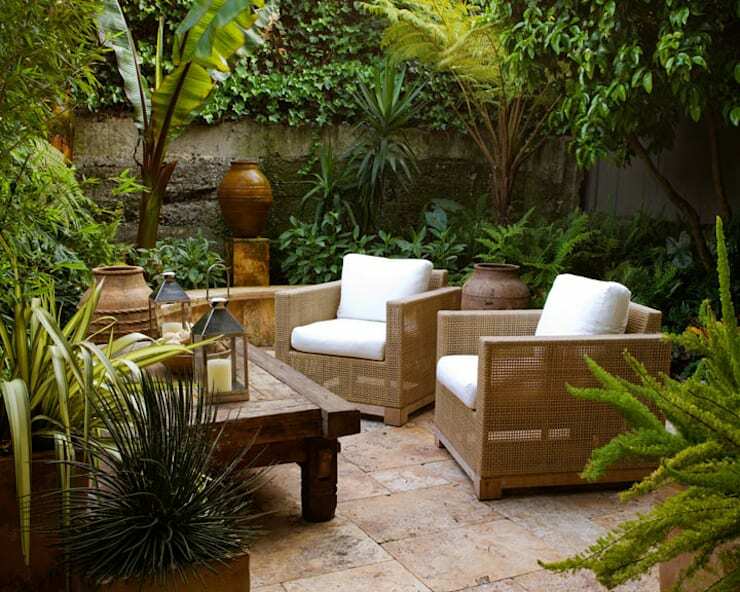 Stoneworks, niche plants, pots and vertical gardens are fabulous. 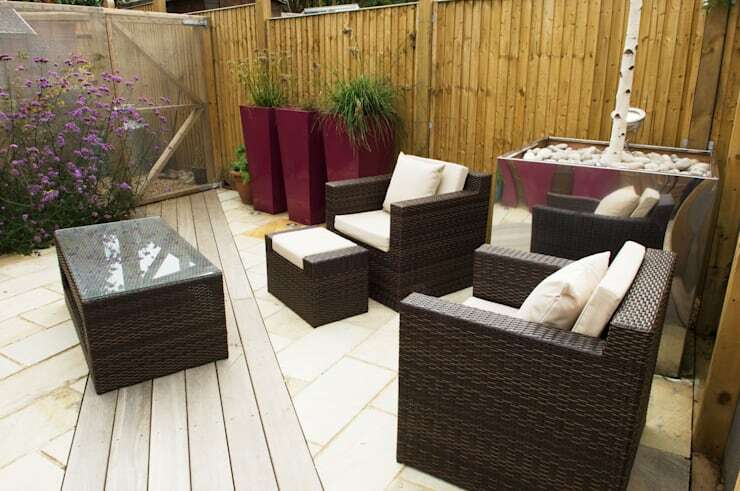 If you have an internal garden, you can try using wood as spending will be relatively little. The result is fantastic. 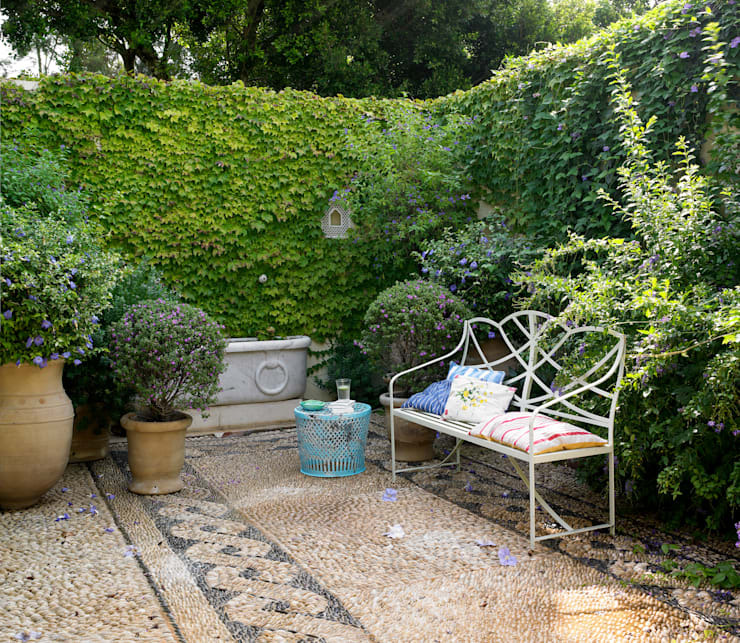 A garden or courtyard without grass is clearly in no way inferior to a traditional garden, and in some ways far superior. Don't believe us yet? 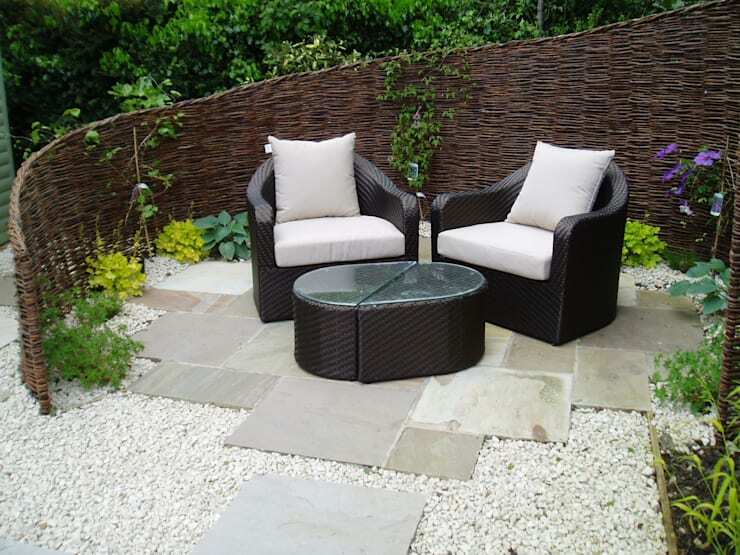 Then take a look at how these outdoor flooring options can increase the value of your home.